They say a picture's worth a thousand words. Actually words are so overrated, it would probably take a lot more than a thousand to express what a good picture can with a single frame. Problem is, my pictures aren't worth two words. I'm not a great photographer. 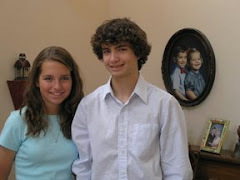 Here is an example of my picture taking ability and you can see that you wouldn't pay 2 cents, much less 2 words for it. So if I want a picture that's worth a thousand words or more, I have to go to the professionals. And I've found a great one that I would love to pay a few thousand words for her photos. I stumbled across a great contest here in Arizona. 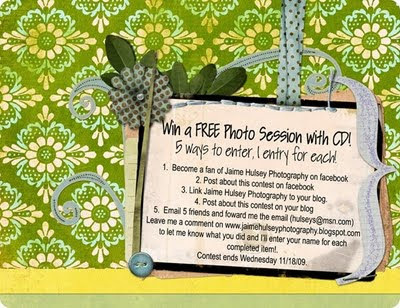 Jaime Hulsey Photography is offering a free photo session with a CD loaded with photos to some lucky winner. I hope it's me! But if not me, it could be you! Check it out and look over her portfolio while you're at it. You can enter too, thanks to me telling you all about it - in less than a thousand words, mind you!